DRN has a long-standing reputation for providing expert legal advice to the local rural and agricultural communities. We represent and advise local farmers, landowners and equestrians on a full range of legal issues, providing straightforward and realistic advice. Agricultural law can be technical and specialist, and it demands specialist attention. With years of experience looking after agricultural businesses, we understand the legal and commercial issues which face the rural community – by choosing DRN Commercial, you can be sure that you’re receiving the very best expert and up-to-date advice. Our clients return to us time and again because they know that we will guide them through the difficult decisions which they sometimes face, and that we will help them find a workable solution to their problem. Our Head of Rural, director Helen Ingham, is a member of the Agricultural Law Association and has a personal interest in rural affairs, particularly equine matters. Helen is highly regarded in the local community and is known for providing clear and authoritative advice. 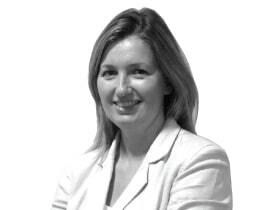 Helen and her team combine technical expertise with a positive, friendly and pro-active approach. As a full service firm, we provide legal services which serve both your commercial and personal requirements. Whatever your legal issue, we can provide you with cost-effective advice and solutions to meet your needs. As always with DRN, we quote fixed fees for all our services wherever possible, so you know exactly how much you will be charged. Call Helen now on 01282 433241 for more information, or send us an on-line enquiry and one of our team will be in touch with you shortly.